Hayley was 4th in Junior Girls' race on her home course at the Southern Districts cross-country at Gang Warily, Fawley. 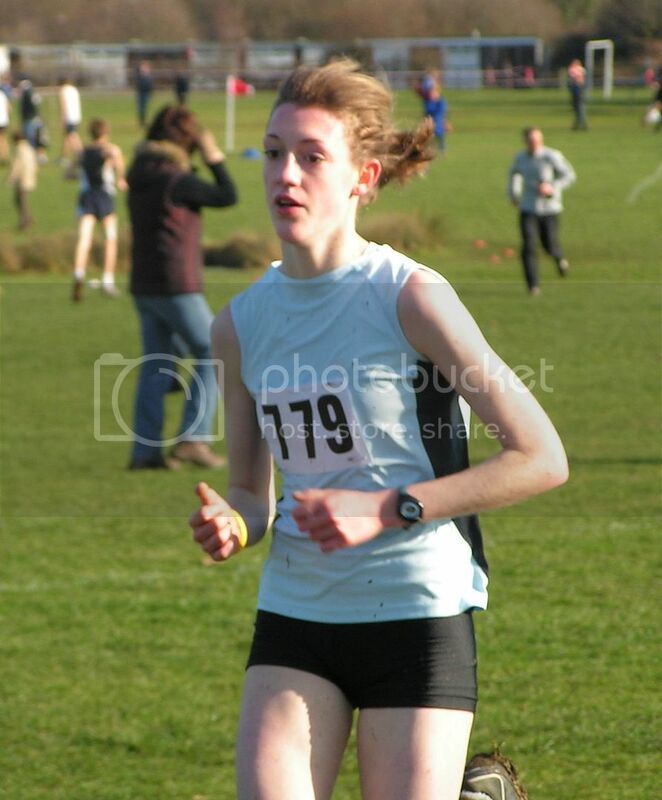 Hayley was 83rd at English Schools Cross-Country Championships (Stanmer Park, Brighton) in March. Hayley was last in her heat in the English Schools Junior Girls' 800m at the Don Valley Stadium, Sheffield in a time of 2:30.59, over 10 seconds off her personal best time. Hayley was 2nd at Hampshire Schools. Hayley was 10th in the Inter Girls race at the South-East English Schools Cross-country Championships on 14th February at Wellington College in Berkshire. Hampshire won the Team Score. 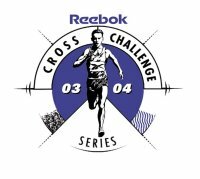 Hayley was 6th in the Hampshire Cross-country League Series 2003/2004. 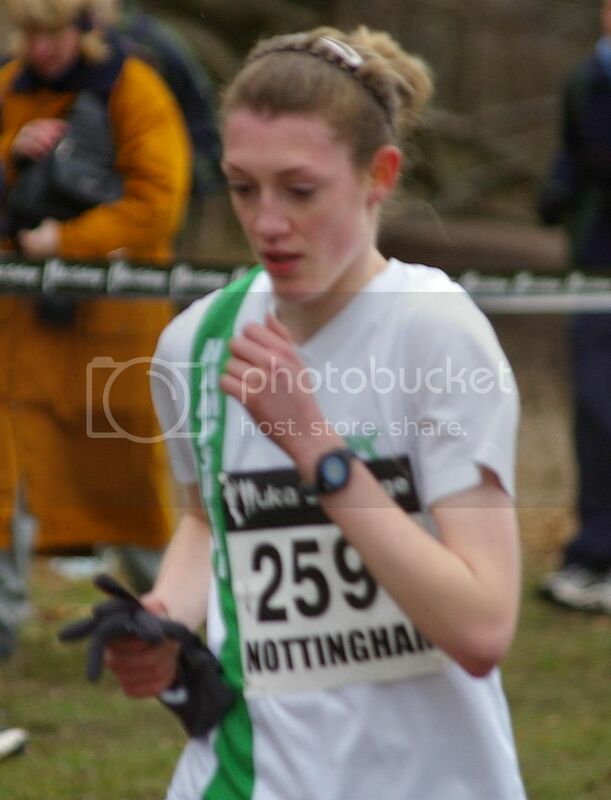 Hayley was 56th in the U15s race at the Reebok Inter-counties in Nottingham. Hampshire won the Team Gold. Hayley was 2nd in the Wessex Cross-country League Series 20043/2004. NFJAC also picked up the Team Silver. In March, Hayley was 74th in the Inter Girls' race at English Schools in Maidstone, Kent. Hampshire & Vectis were 2nd in the team score. Hayley was 8th for Hampshire County in the 15-17 Girls London Mini-marathon. Hayley took the Under 17 girls 3000m silver medal at the Hampshire Track and Field Championships, in a time of 10:22.63, behind AFD's India Lee. Pre-race - English Schools Track & Field Championships: HAMPSHIRE will be out to rediscover their golden touch at the English Schools' Track & Field Championships, which begin in Gateshead today. Hayley will be part of the talent-filled line-up in the Intermediate girls' 3,000m. Hayley was 11th in the Intermediate Girls' 3000m at English schools, beating many class athletes, including Hampshire rival India Lee, and Suffolk's Laura Dowsing. She ran a personal best time of 10:22.04 in a class race, won by Gloucestershire's Emily Pidgeon. 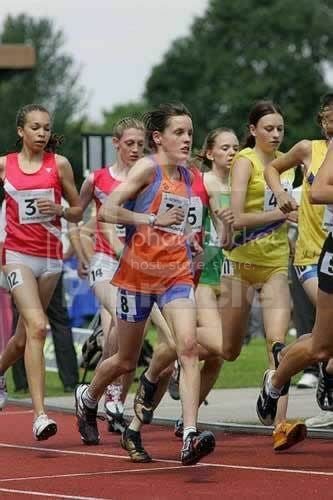 Hayley won the Under-17 Inter-counties 3000m at Kingsmeadow in August in 10:27.36. Hampshire U17 women took equal third place with Sussex in the team score. Hayley was invited to run at the Iris Lotto Crosscup in Brussels on 19th December, representing the South of England. She ran as a Junior woman, and came in 26th position, credible considering she was running against girls several years older than herself. On the track, Hayley took the Hampshire Championships and South-East Schools Inter-counties titles and Hampshire Schools silver over 3000m. During the August of 2005 she transferred her coaching to Penny Forse, who coaches a group of athletes including Southampton's Rebecca Gough. Hayley eventually ended her five-year stint at New Forest Junior AC at the South of England Road Relays at Rushmoor, where she returned from injury to finish ?th fastest individual overall. Hayley raced sparingly over the first half of the Cross-country season, as she waited for her affliation with Team Southampton to begin. She finished 5th in the South-East Colleges Cross-Country in Chichester, and 3rd at her first Hampshire League race at Overton, but improved to finish 10th at the Southern Inter-Counties Cross-country in Thetford.